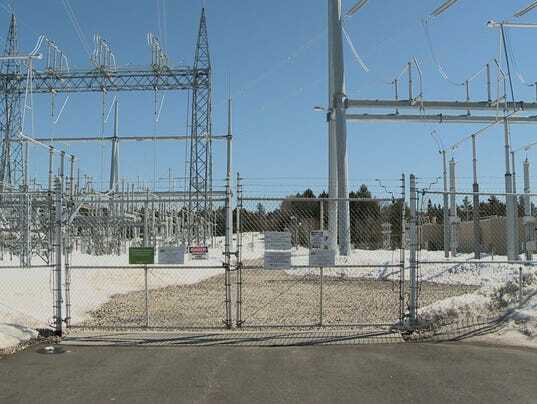 NEW GLOUCESTER, Maine (NEWS CENTER) — Whether by cyber attack or just plain theft., America’s power grid is under attack. According to an investigation by USA Today, the nation’s grid comes under attack as often as once every four days. Out of 362 incidents in the last four years, five of them were at Central Maine Power’s substations in Maine. “Fortunately, none of these incidents actually resulted in any kind of injury or power outage,” CMP spokesperson Gail Rice said. Rice called these five attacks acts of vandalism. In each event, CMP records show people broke in to the substations, sometimes by simply cutting through a fence, and stole thousands of dollars worth of material. Since then, CMP has reported only one attack in December 2014. But some people fear that if thieves can get in, what’s to stop a person from breaking in and shutting off power for thousands, if not millions, of people? CMP has enhanced security measures over the past several years, installing surveillance cameras and hiring security guards for most of the major substations. CMP is also dealing with the threat of cyber attacks. “We’re committed to protecting all of these assets and making sure that the grid is safe and that the lights stay on for our customers,” Rice said. Unlike other utilities across the country, Rice said CMP has never experienced a cyber attack. They are fairly unusual. The Department of Energy received only 14 reports of cyber attacks over the past four years, but experts say they’re on the rise. “This isn’t going to be something that, ‘okay we’ve done it now. Let’s go on to something else.’ We’re going to be continuing to look at ways to make the system more secure,” Rice said. The Federal Energy Regulatory Commission (FERC) oversees electricity distribution in the U.S. FERC directed the industry to write new rules for physical security in 2013. CMP said it meets those standards and in many cases exceeds them.